From Lüneburg to the Autostadt in Wolfsburg we cycled mainly on the Elberadweg along the Elbe river which was the former natural border between West and Eastern Europe. Tandem buddies on this part of the 'Green Belt' bike tour aka 'Das Grune Band' were Birgitt Sorensen and Michael Vaes. 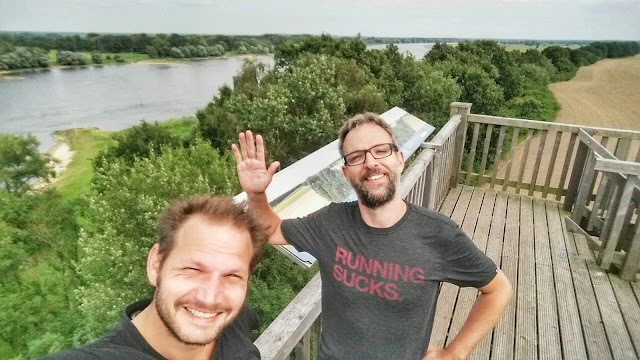 We tackled several Destination Challenges and visited Hitzacker, a lovely town by the Elbe, remote and peaceful Vietze, we discovered the unique Rundling towns and visited the brand new Hanseatic city Uelzen with its world famous train station.